A home buyer faces many issues when considering the purchase of a property, but one key concern should be the actual quality and livability of the home. A buyer should never base their purchase entirely on the property disclosure provided by the seller. Even a newly constructed house may be riddled with problems that are not immediately visible to the buyer. To avoid potentially expensive repair issues in the future, it is necessary to hire a home inspector. The job of a home inspectors is to go through a house and look for problems such as mold or dry rot, among many other things, and alert the buyer. The ultimate goal of a home inspector is to prevent the home buyer from being hit by surprise repair problems that can cost anywhere from hundreds of dollars to hundreds of thousands of dollars. Buyers should expect an inspection to last at least two hours and up to five hours. After the inspector has had time to complete their initial inspection the buyer can accompany the home inspector around the house alongside their real estate agent and discuss the findings and ask questions. They should expect an inspector to be impartial and to neither ignore potential repair issues nor overstate them. 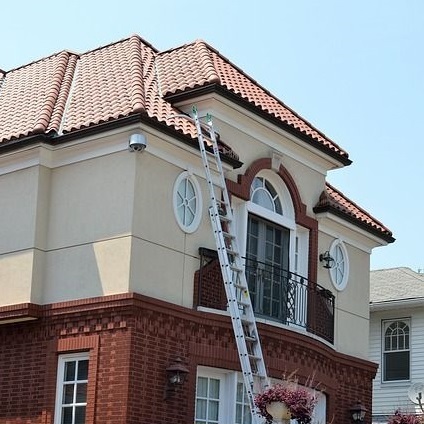 An inspector should do a thorough job, which means investigating everything from the roof to the basement, crawlspaces, electrical systems, plumbing, and more. The buyer should expect a home inspector to check the appliances that are being left behind, evaluate the heating and air conditioning systems, as well as look for water damage, uneven floors, problems with the foundation, and other issues. Finally, the inspector should provide the buyer with a detailed inspection report in a timely fashion. What to Expect From a Home Inspection: Click this link to read a New York Times article about how to shop for a home inspector, what their duties are, what the home buyer should do, and more. Five Home Inspection Mistakes Buyer and Sellers Make: Bankrate warns readers about what not to do when performing a home inspection. Getting Through the Home Inspection: The Balance talks about inspection issues that concern buyers the most, such as mold and mildew, moisture, the roof and chimney, plumbing, and potential electrical problems. Find Your Answers to Home Inspection Cost and Service Questions: Visit the American Society of Home Inspectors for some answers to frequently asked questions concerning home inspection issues. Home Inspection Reports: What to Expect: Go here to read about what should be contained in a home inspection report, according to the International Association of Certified Home Inspectors. Should I Get a Home Inspection? Time explains why home buyers should get the property inspected first. This article talks briefly about what home inspections entail and what to do with the findings of the report. 39 Secrets Home Inspectors Won't Tell You: Visit the Reader's Digest website for advice on how to select the right home inspector, why a buyer's real estate agent should not select the home inspector, and more. Ten Things Home Inspectors Won't Tell You: Home inspectors can, through their report, make a house look worse than it really is. Market Watch explains this and nine other secrets that home sellers and buyers should know. How to Select a Home Inspector: Home inspectors are not required by law to find all of the problems that a home might have. Click this Washington Post link for advice buyers should read about what a home inspector is and is not required to do. Ten Reasons You Shouldn't Skip a Home Inspection: Investopedia warns potential home buyers about the dangers of not hiring a professional to inspect a home they are considering buying. Ten Reasons to Hire a Home Inspector When Buying Your First Home: Home inspections can save home buyers up to thousands of dollars in hidden repair costs. Read this article to learn why home inspections are so important. Seven Questions to Ask Your Home Inspector: All home inspectors are not necessarily equal. Fox News offers readers advice on questions they should ask in order to screen out unqualified inspectors. Don't Get Burned by Shoddy Home Inspection: Incompetent home inspectors can miss problems with a home that could cost buyers tens of thousands of dollars in repairs. Read this NBC News article for tips on how to avoid hiring an unqualified home inspector. Three Things a Home Inspection May Not Reveal: Even the best home inspectors may miss some serious issues that affect the quality of a home. CBS News lists three of these potential problems in their Money Watch section. The Ins and Outs of Home Inspections: Read this article to learn what a home inspection is, when to have it done, who should do the inspection, and more. For Your Protection, Get a Home Inspection (PDF): Click this link for a brochure warning home buyers about the necessity of a home inspection. It also explains the difference between an appraisal and a home inspection and discusses radon gas testing. What to Expect From a Home Inspection: Nerd Wallet explains here what home inspectors do, their limitations, what to expect from a report, how to shop for an inspector, and how to participate in the process. Tips on Home Inspections: Visit the Better Business Bureau for advice on how to get the most out of a home inspection.